Because of the popularity of this watch, we decided to offer a second limited edition of a Naval Aviation inspired timepiece (150 units) this year – again designed with valuable advice from Leekster. We went for a radical vintage look this time, combined with the superior functionality required by professionals in the field of aviation. 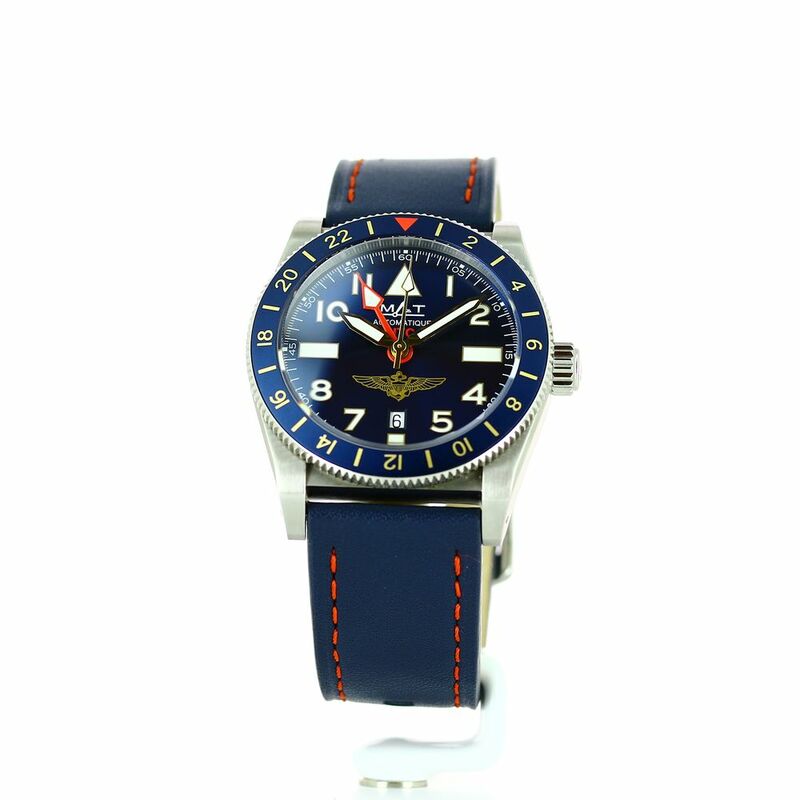 Protected by a robust 316L surgical steel case of 42.5 mm, its dark blue dial (sun-ray finishing) with its oversized index and arabic figures in super luminova (BGW9: blue glow white) features pilots’ wings at 6 o’clock. This new UTC is equipped with a unidirectional turning bezel in blue aluminium, with guilted figures indicating the second time zone for perfect legibility. 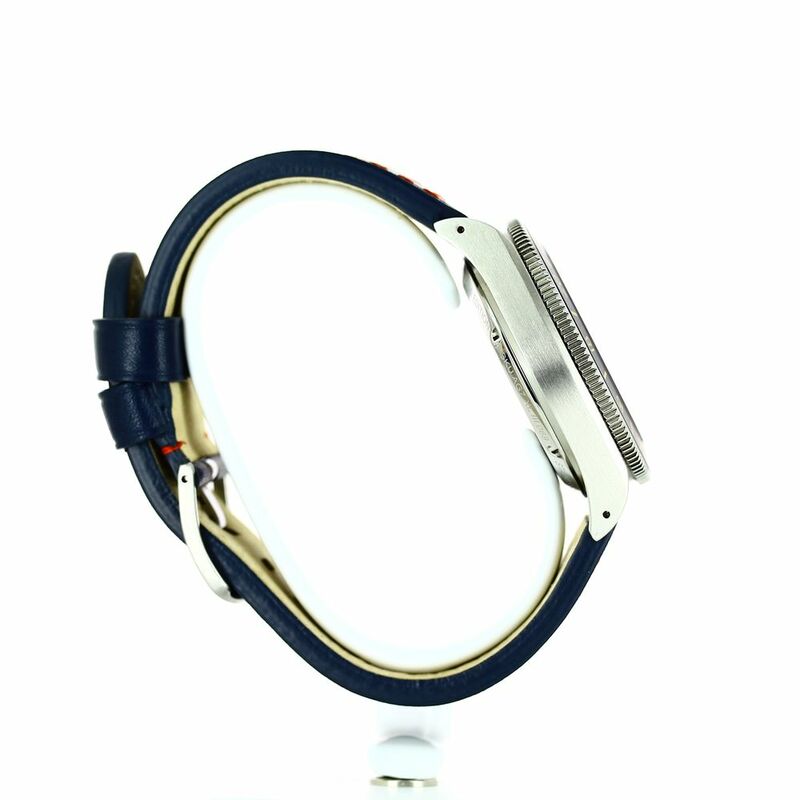 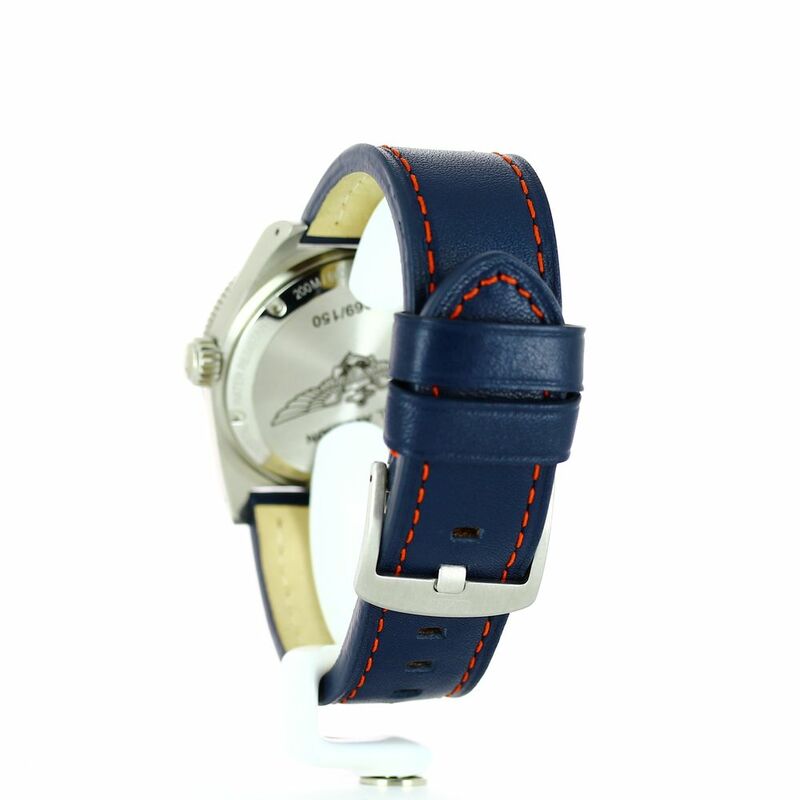 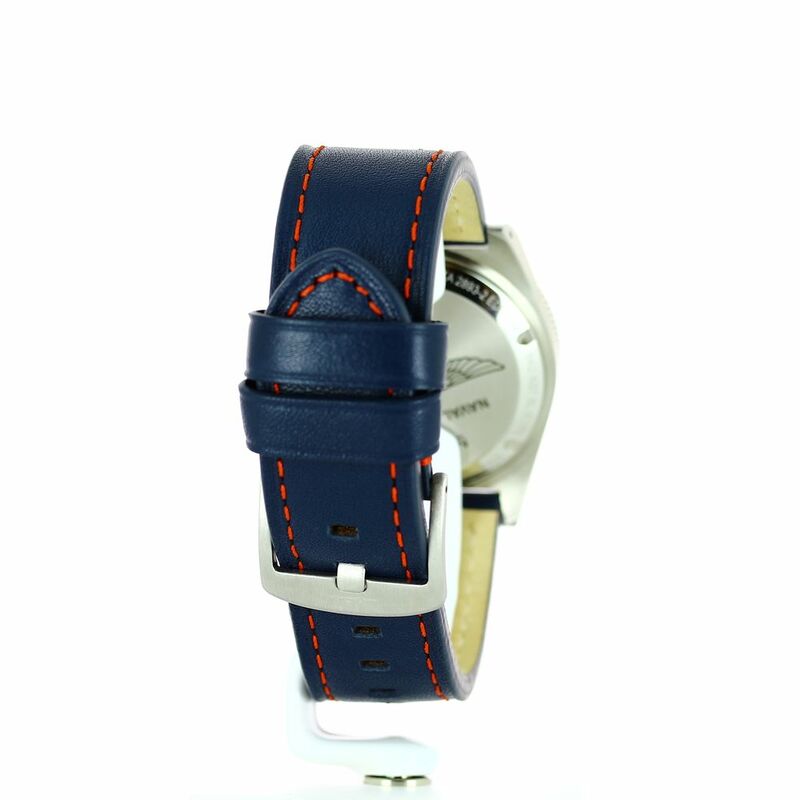 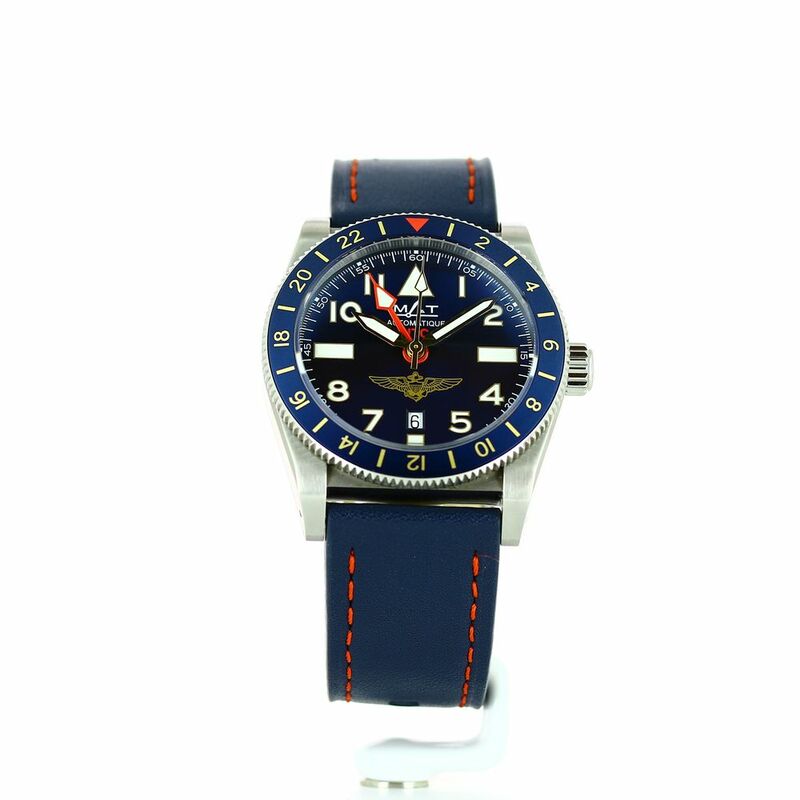 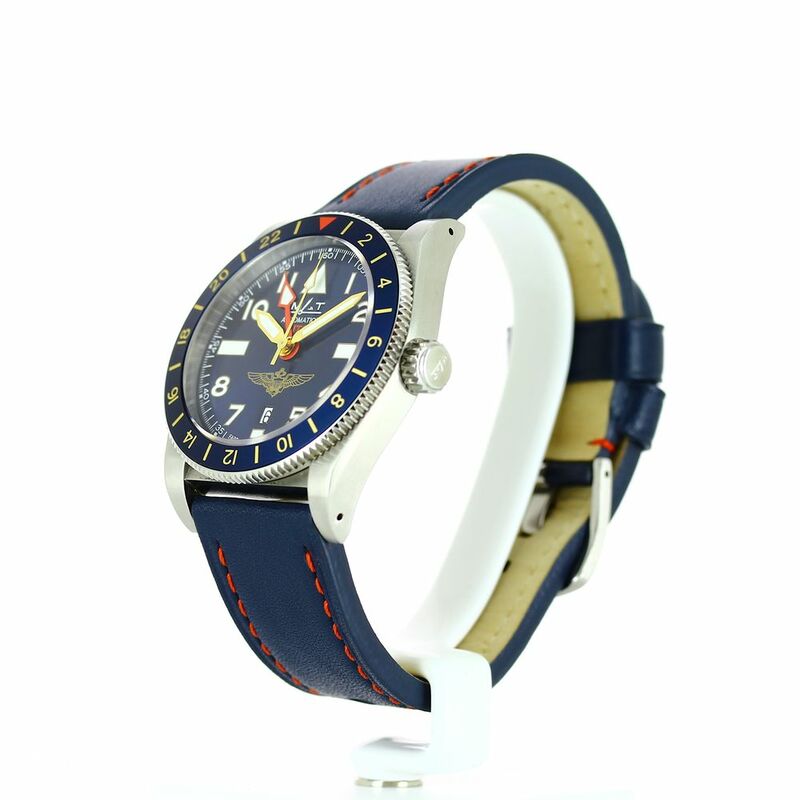 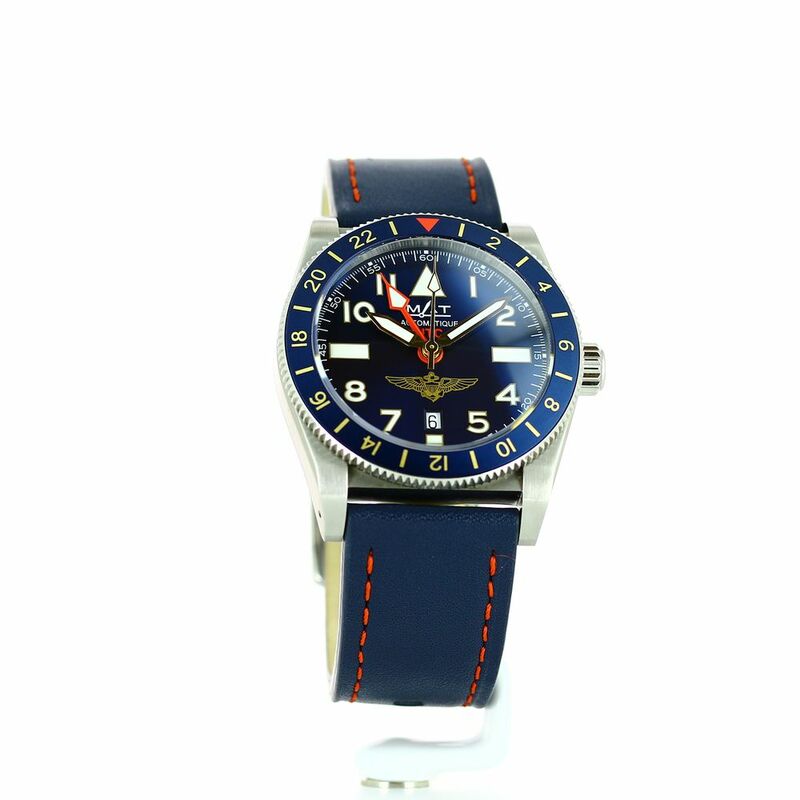 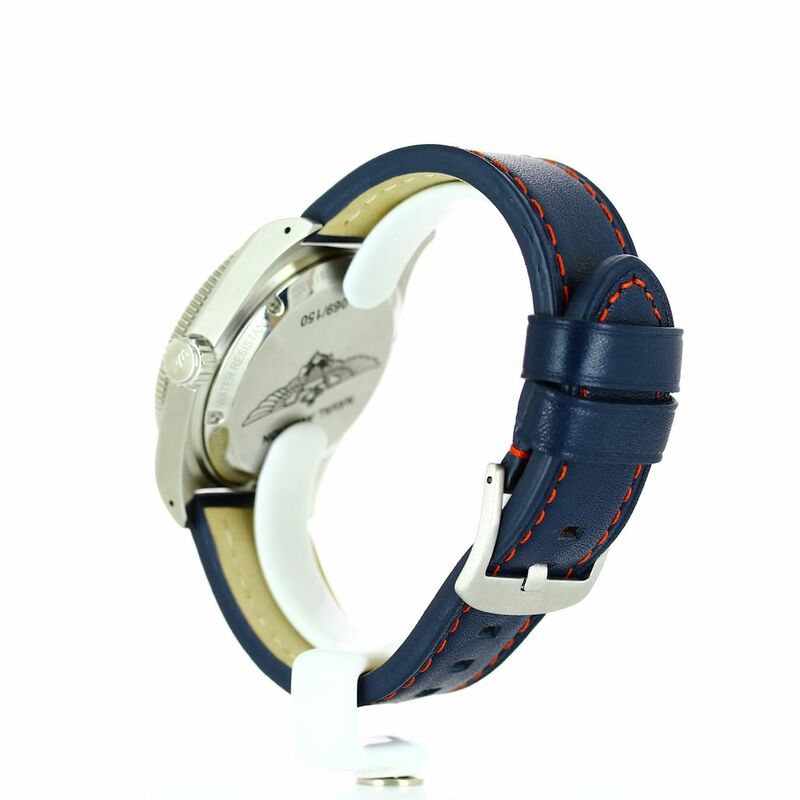 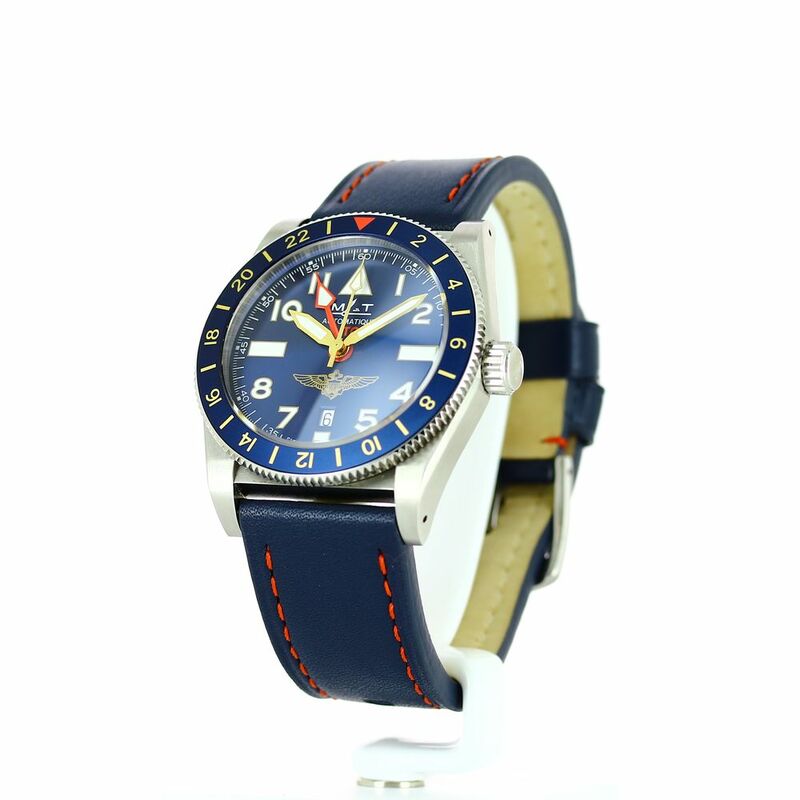 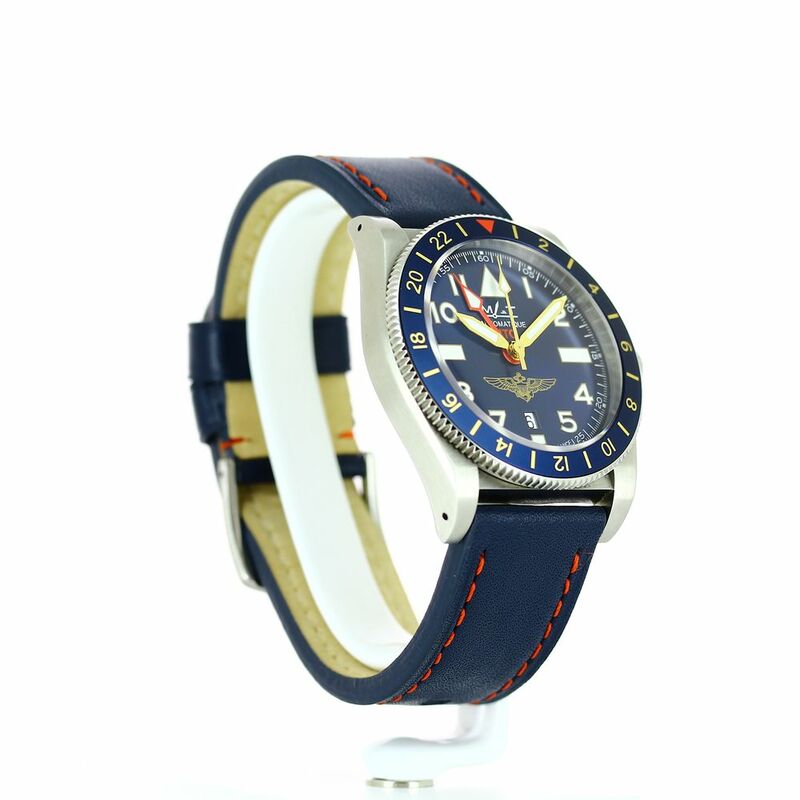 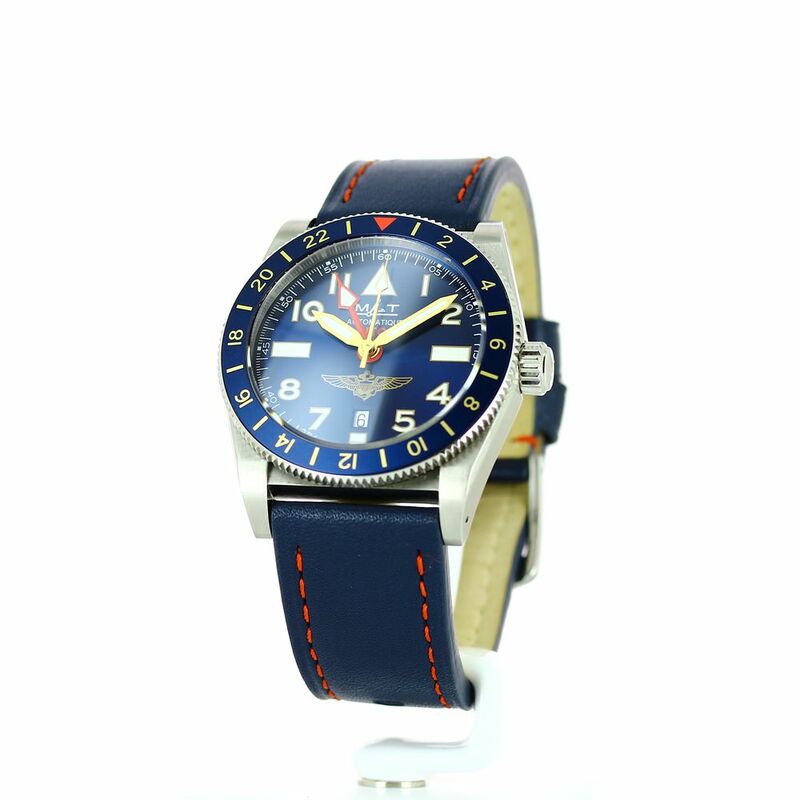 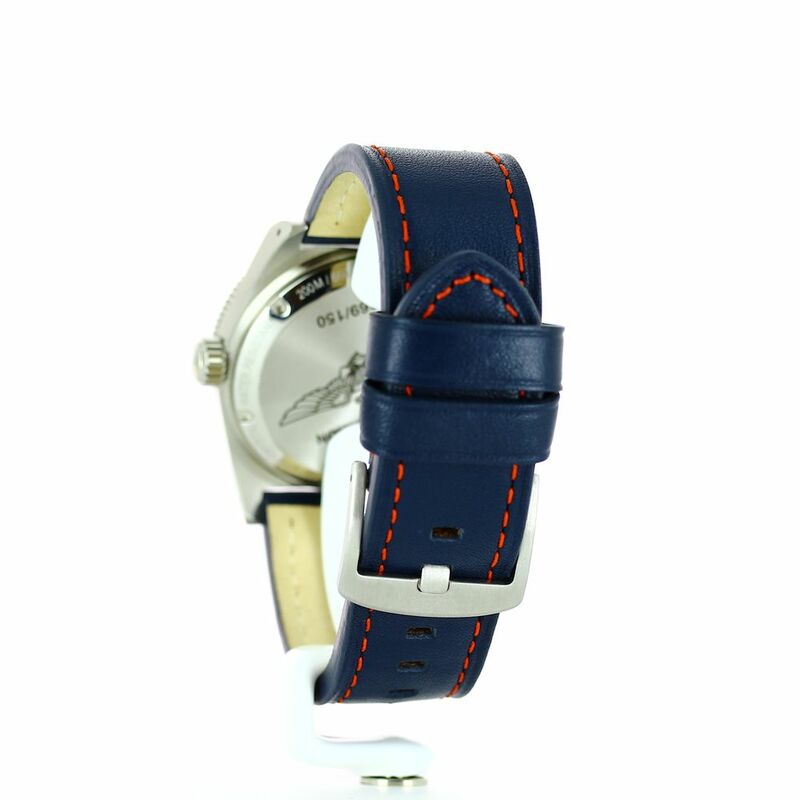 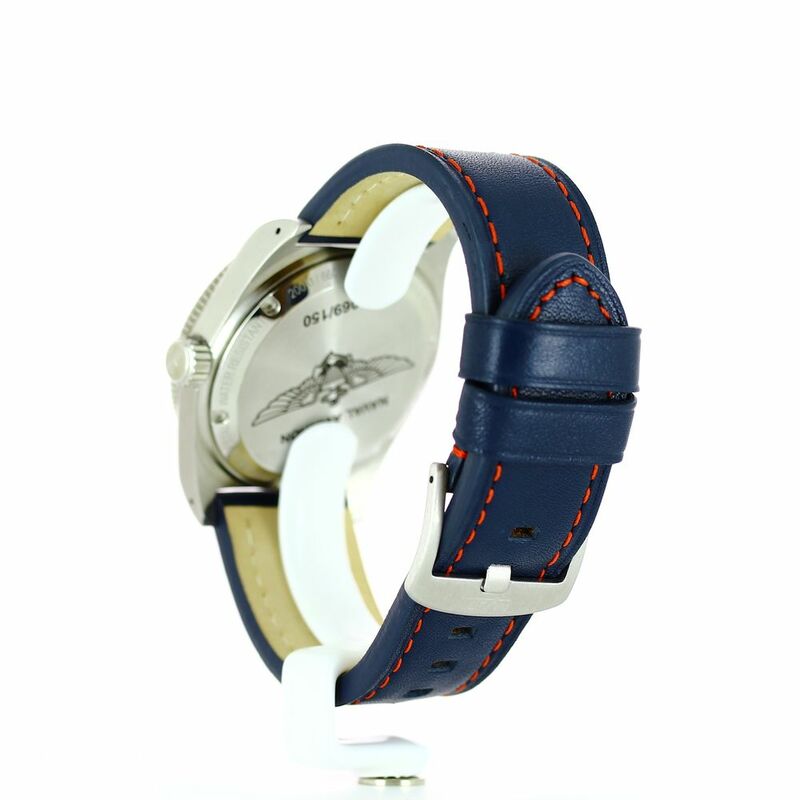 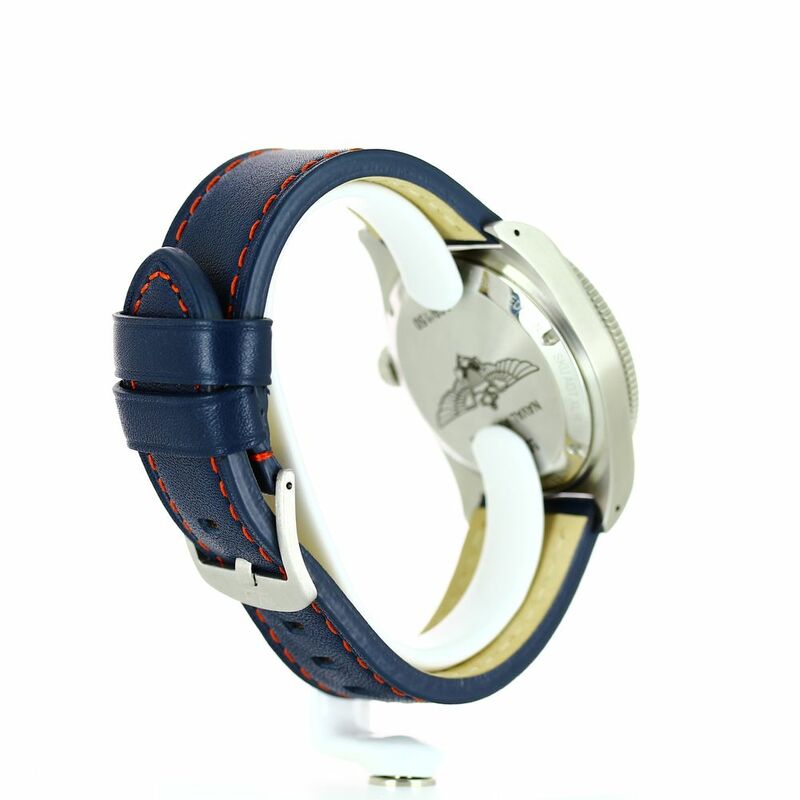 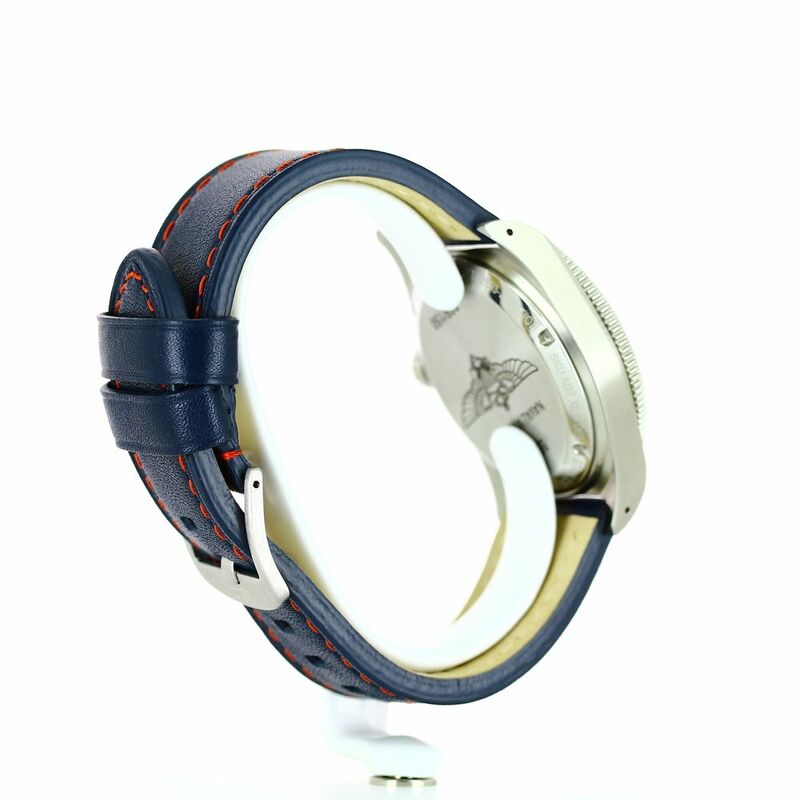 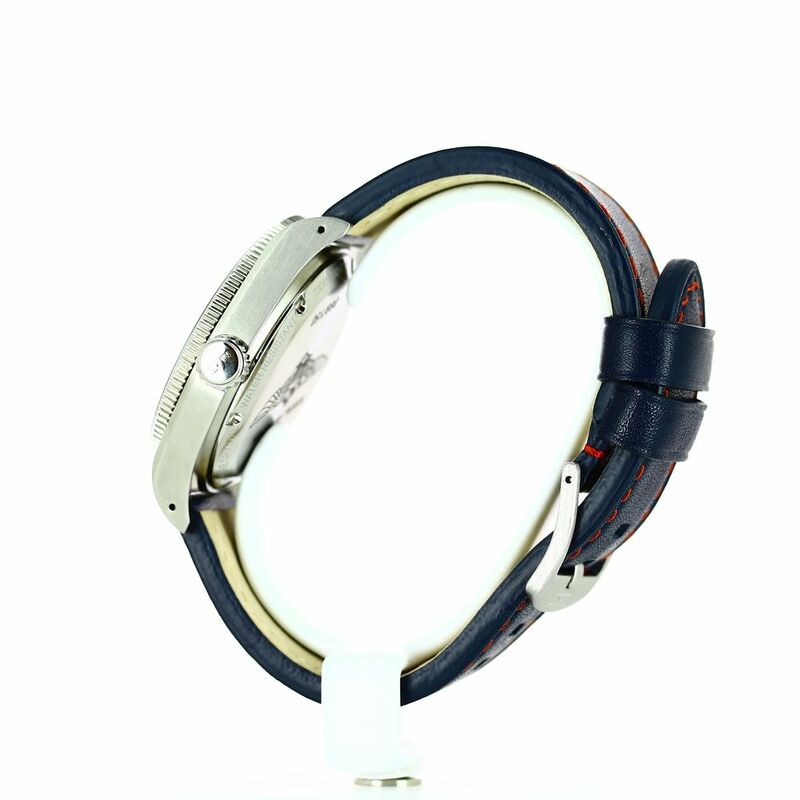 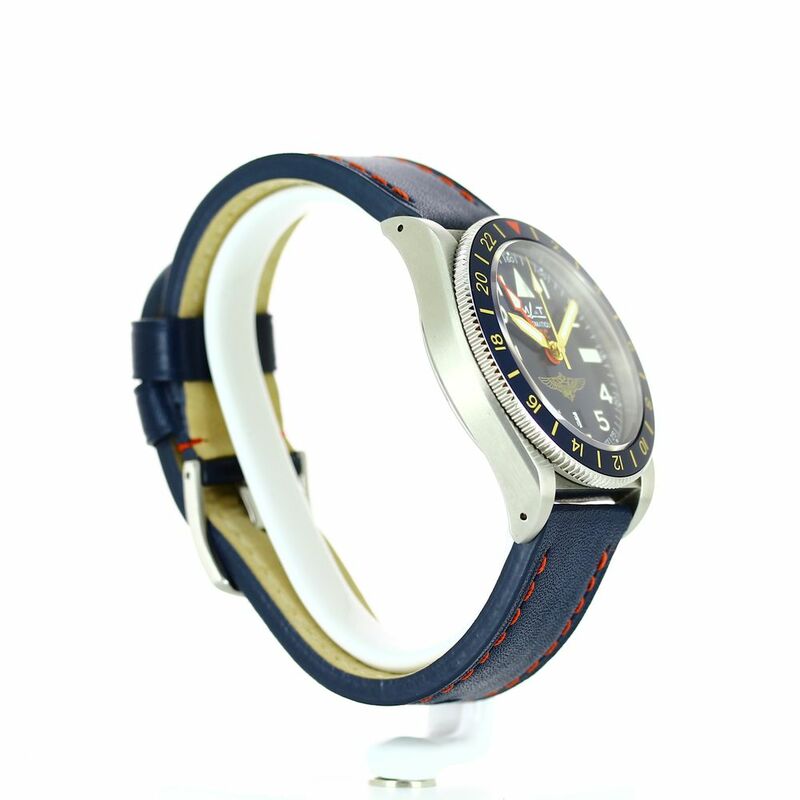 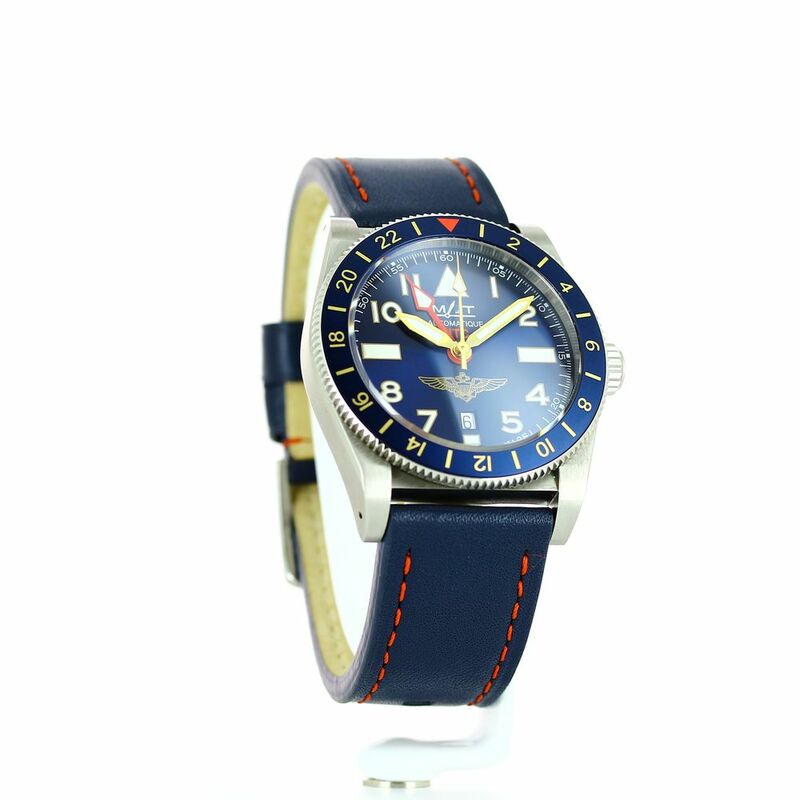 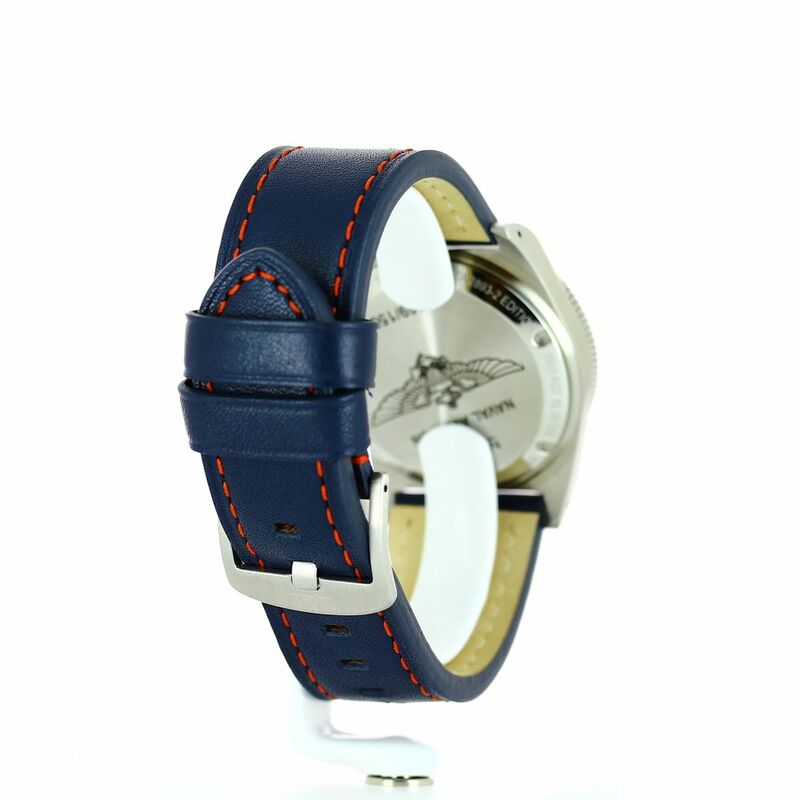 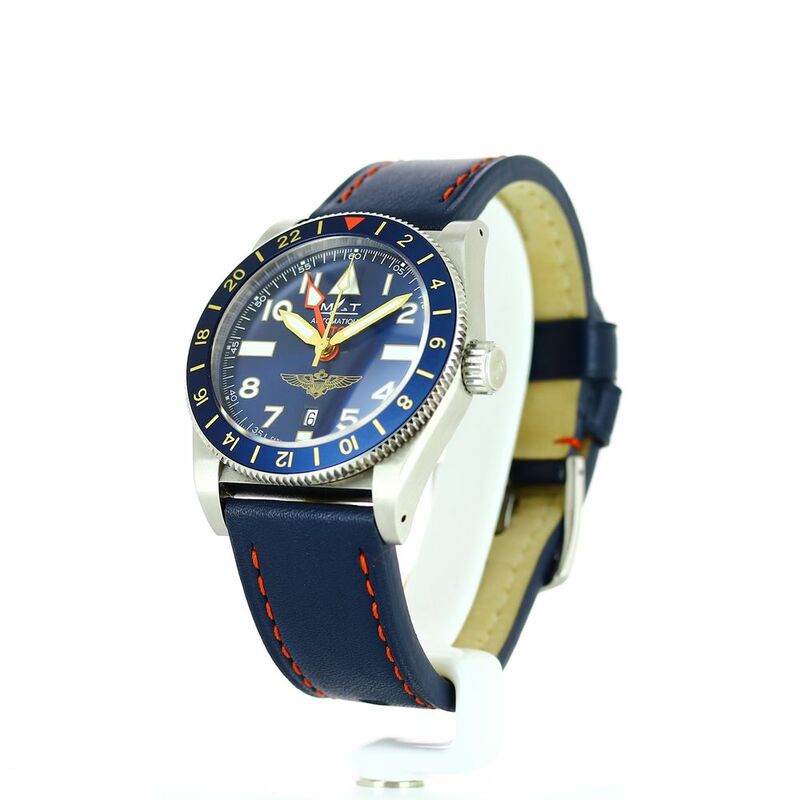 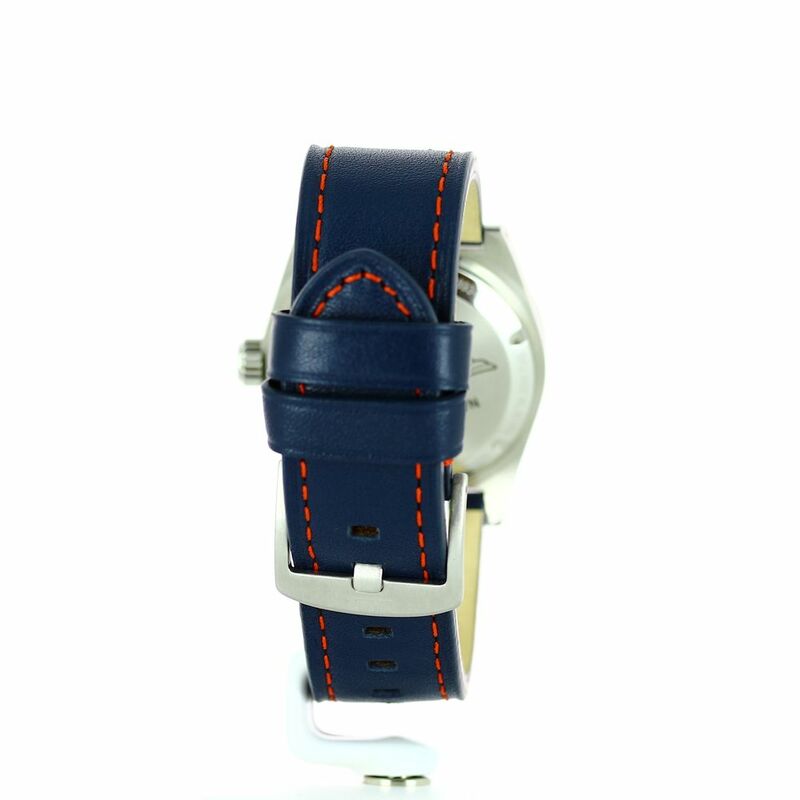 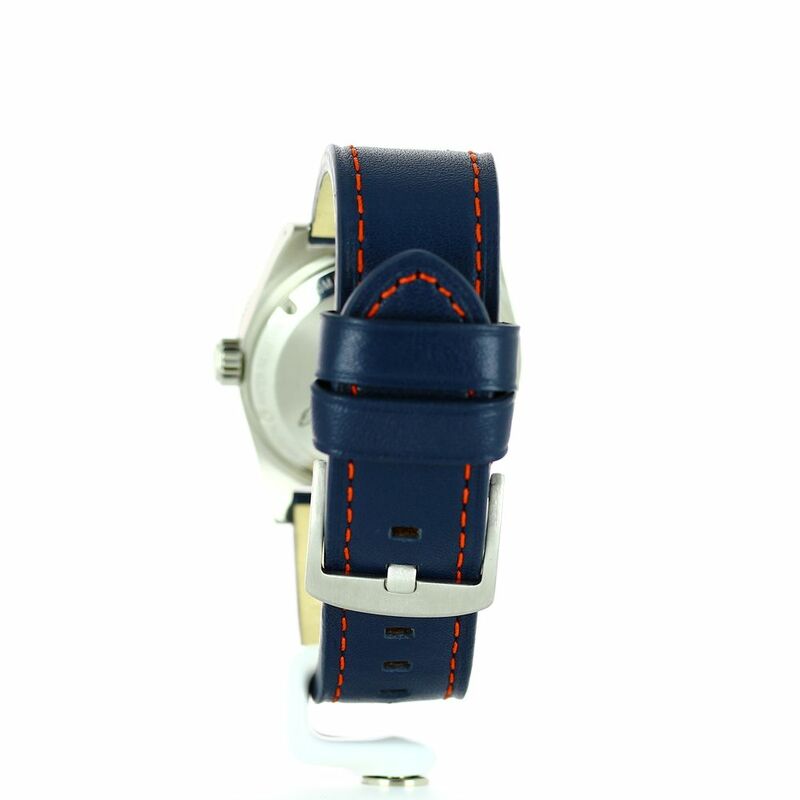 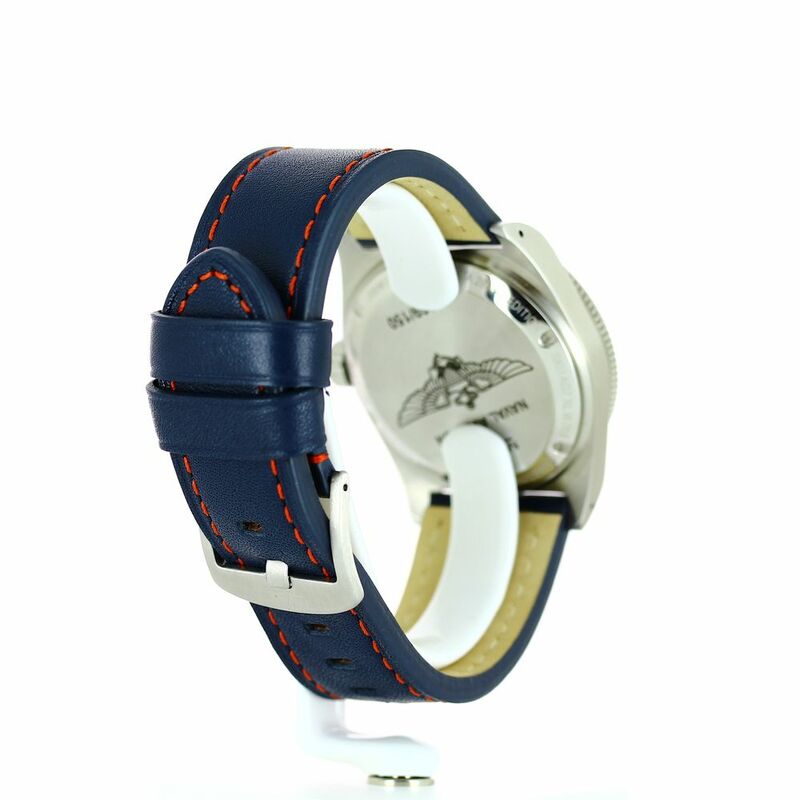 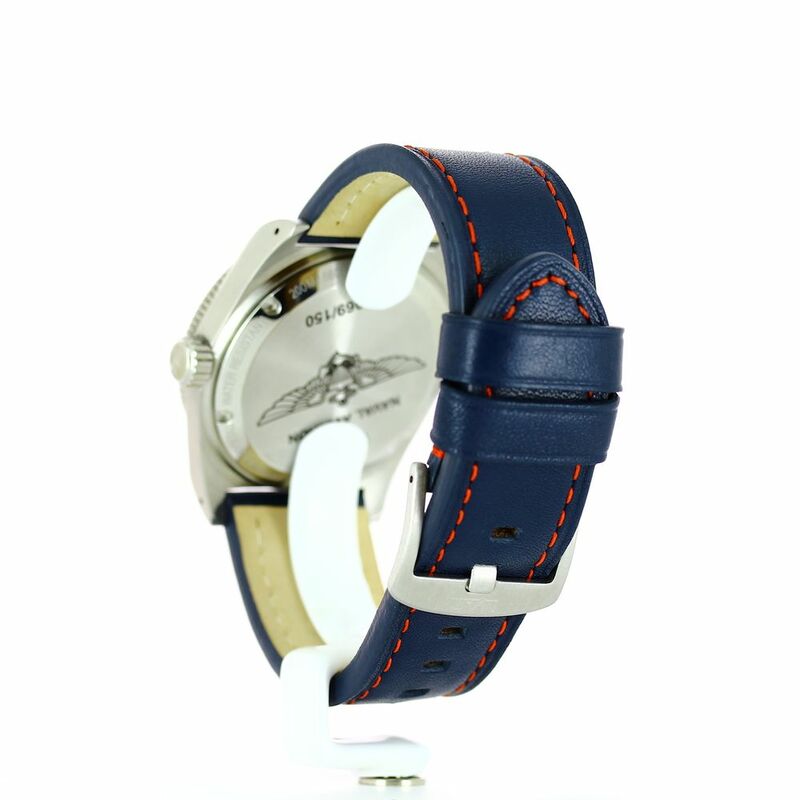 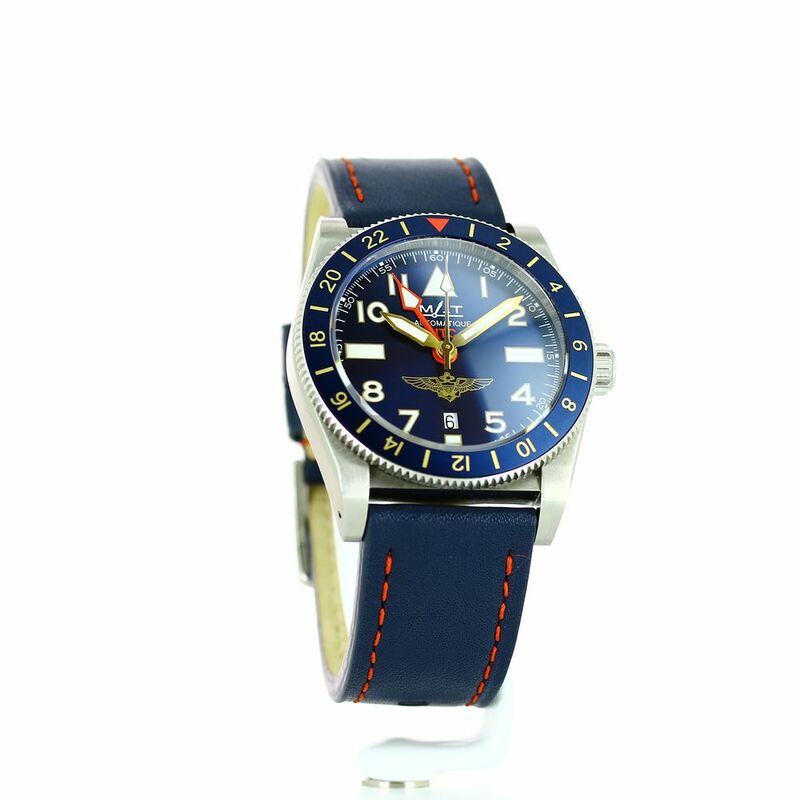 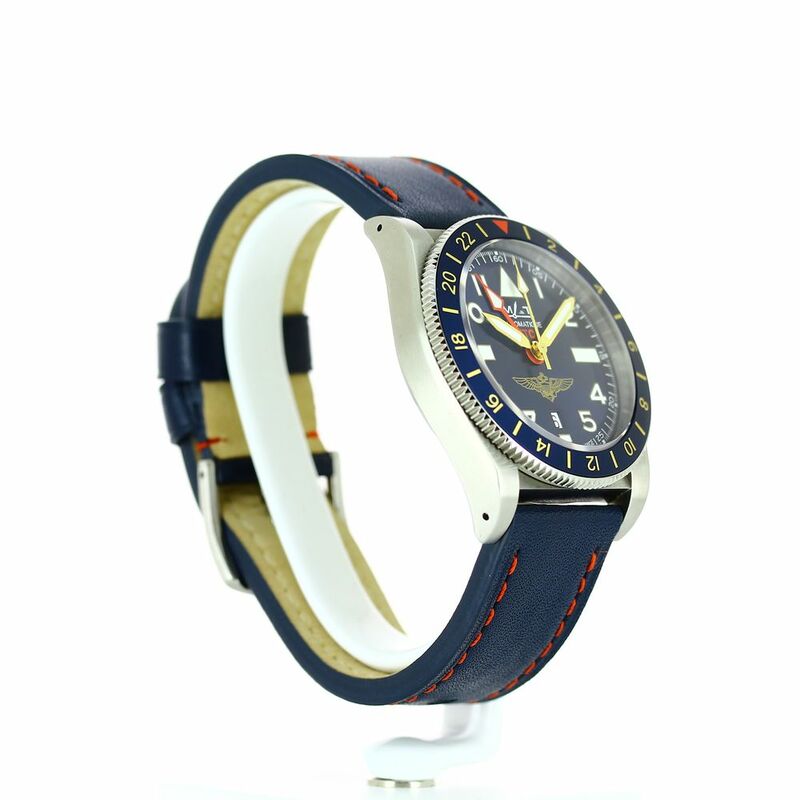 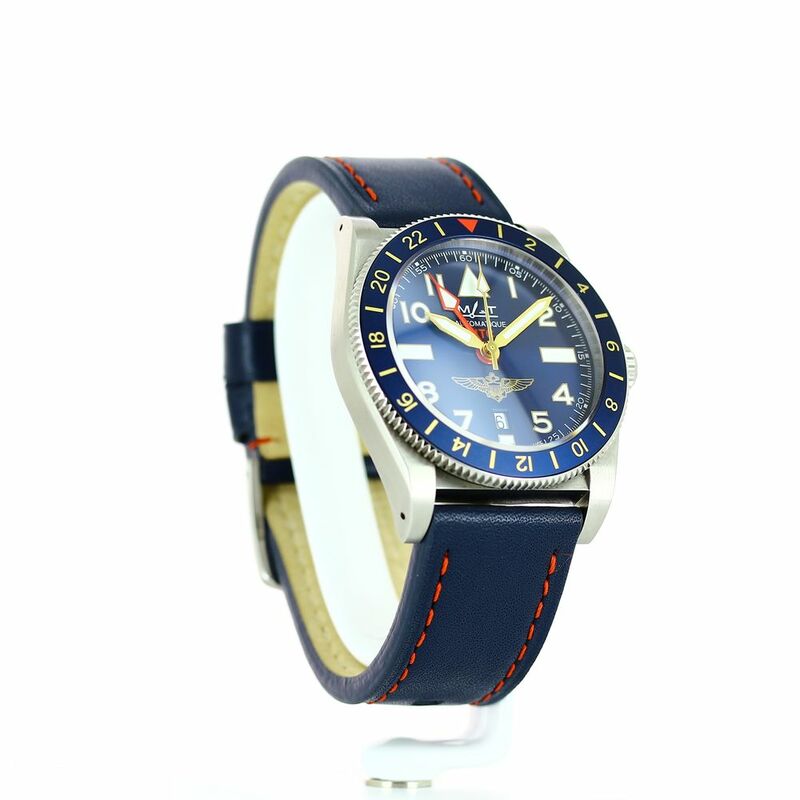 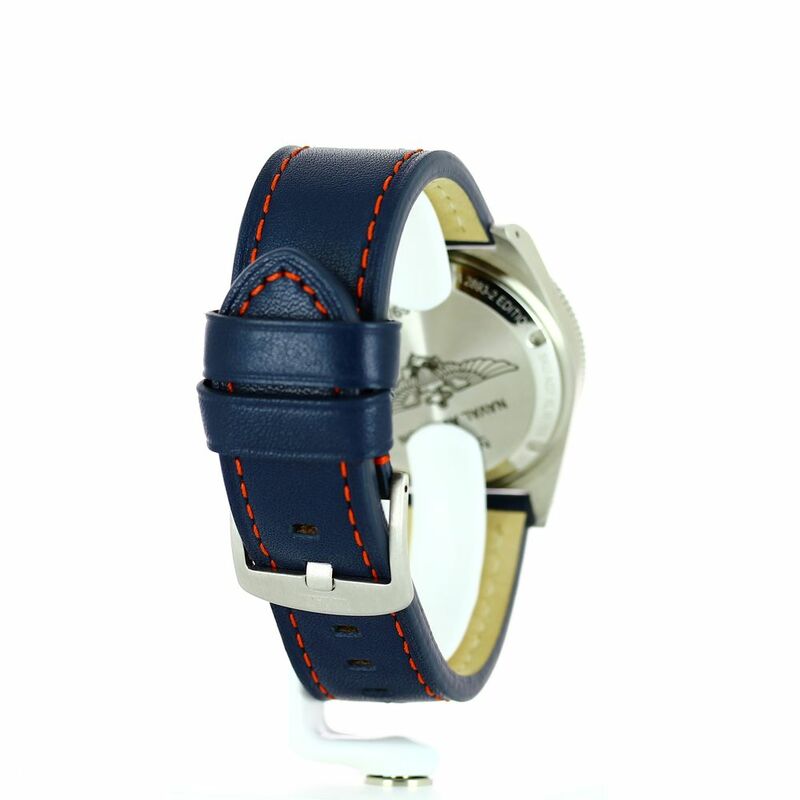 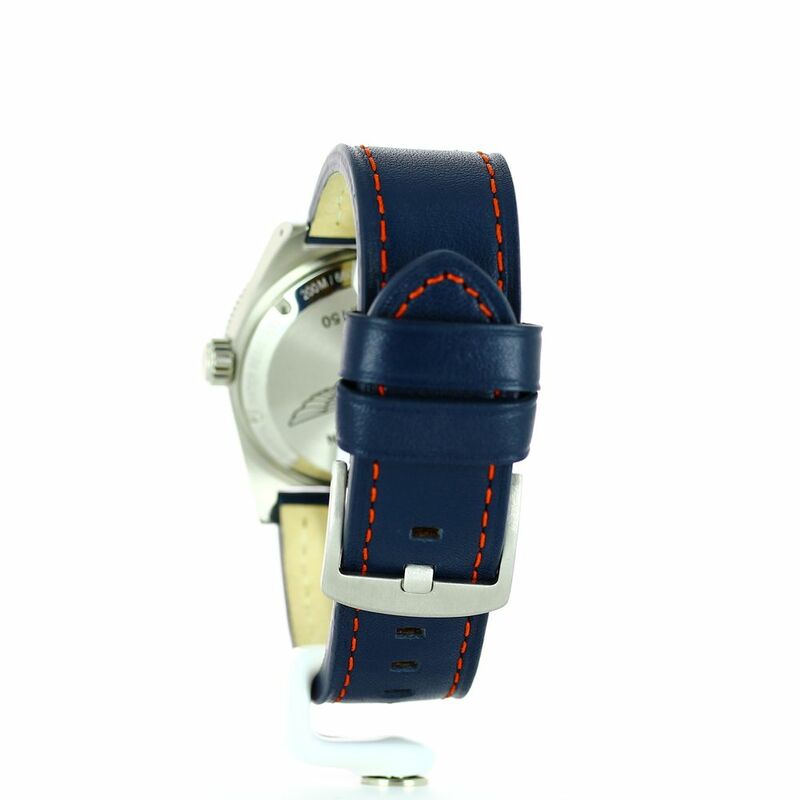 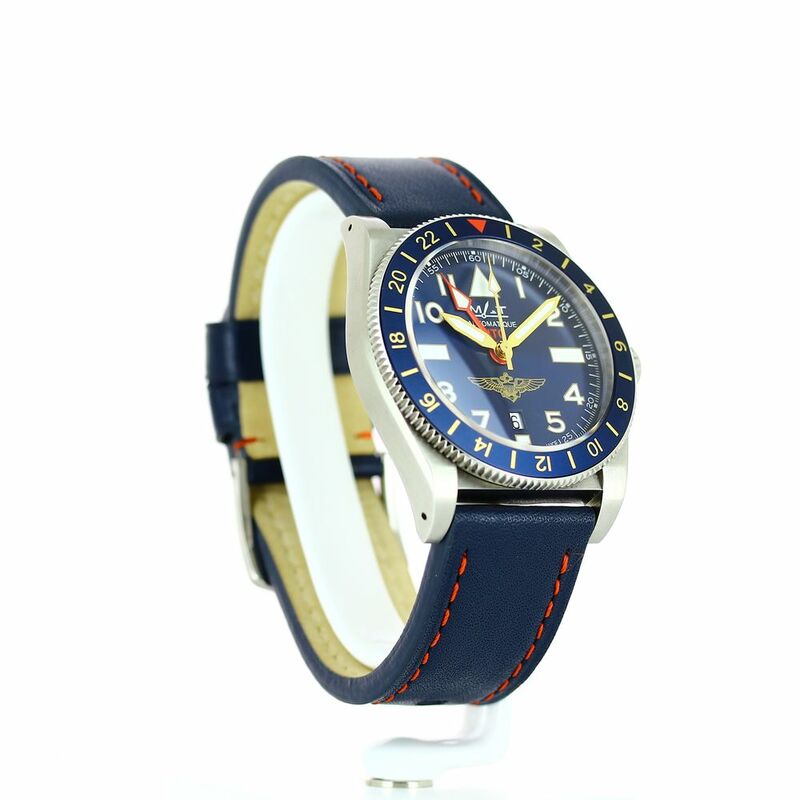 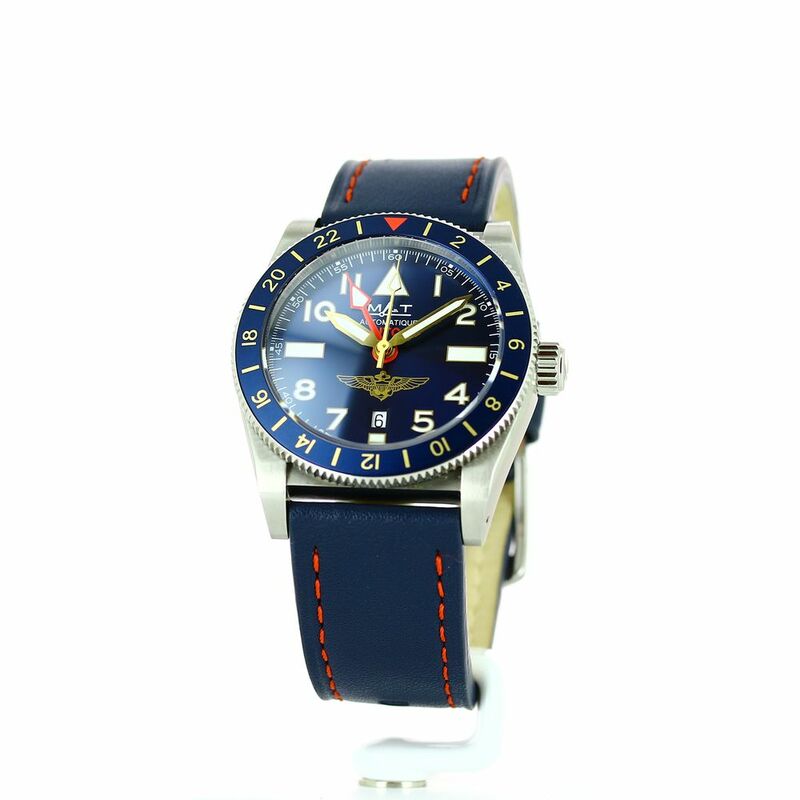 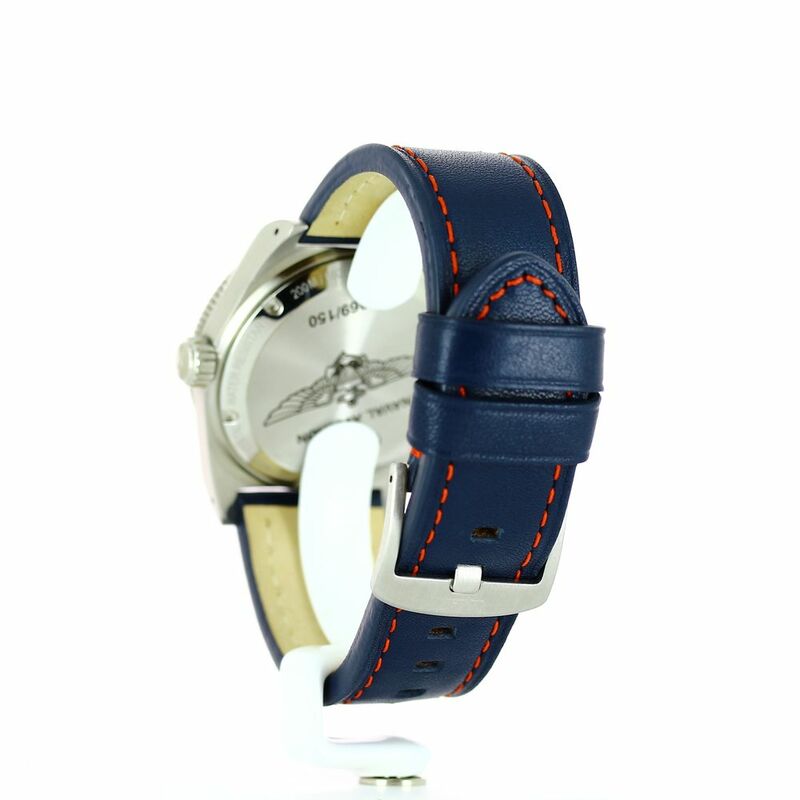 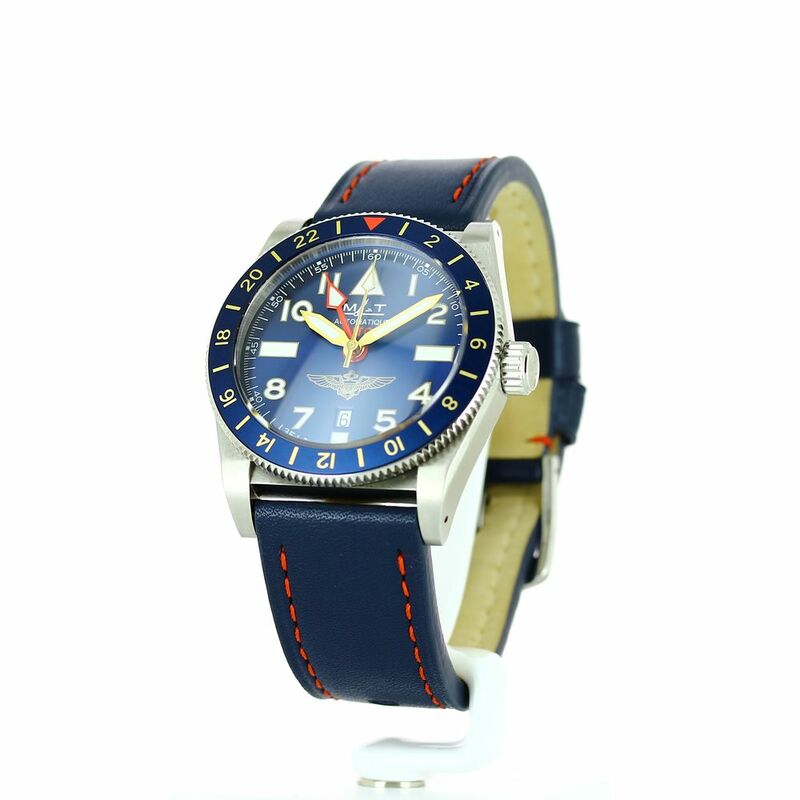 Delivered with 3 interchangeable straps: 1 blue calf leather strap, 1 navy blue canvas and 1 blue rubber strap.